Feature 5: Turned to Prevent Fraying Size: ACEO 2.5" x 3.5" x 1/8"
Plein Air - Enjoy the outside ! What is ACEO?. 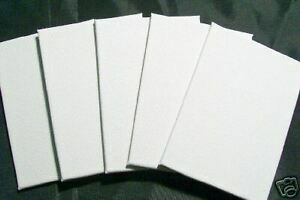 This tightly woven smoother finish is perfect for fine detailed artwork such as portraits. Each canvas is backed with a "Certificate of Authenticity" for you to fill in.